The spa village Lúčky is situated not far from Veľký Choč in Lower Liptov. 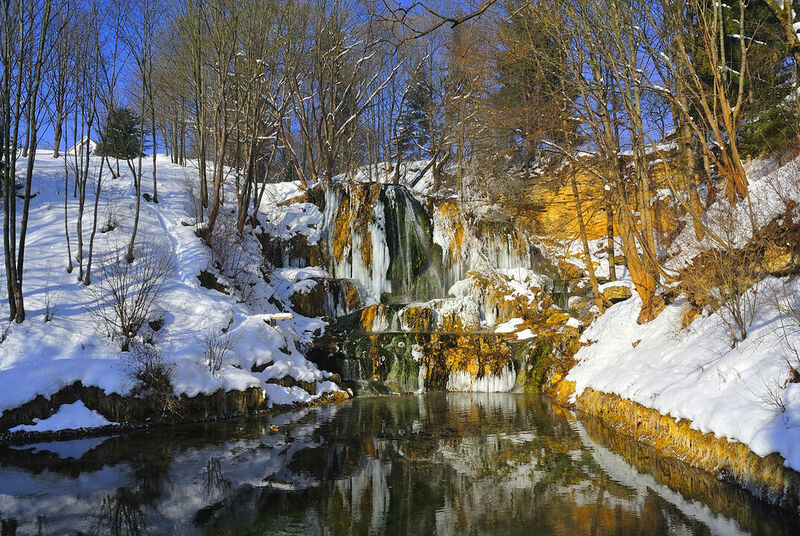 Besides the fact that Lúčky is a spa village, there is one more place which makes it unique – the National natural monument Lúčky Waterfall. It is worth mentioning that only five waterfalls presenting the most important natural heritage of our country were declared a national monument by the Ministry of Environment. Lúčky Waterfall, which has been declared a national natural monument since 1974, is one of these five waterfalls. This waterfall is a real curiosity because it is situated in the middle of the village. It is a 12-metre high cascade waterfall, which falls into small lakes from the edge of the travertine terrace. 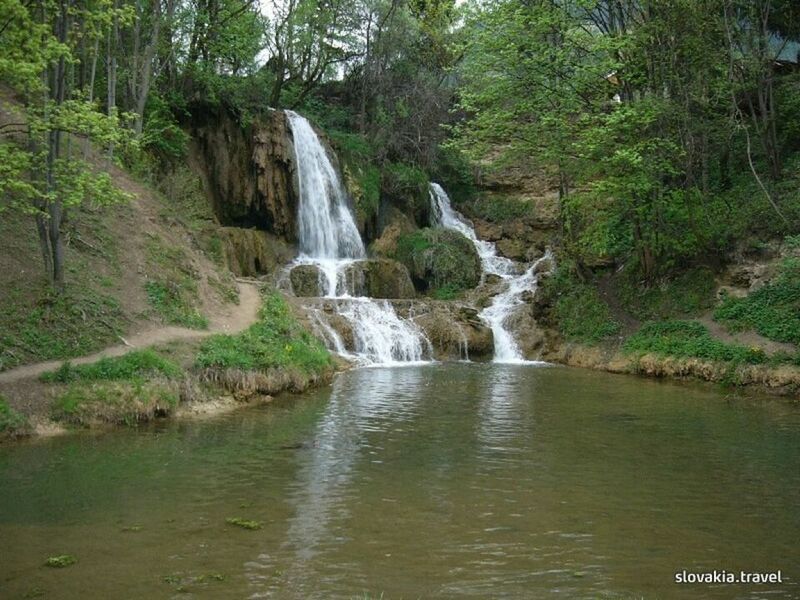 The Lúčanka or Teplianka creeks themselves are not very interesting, but their tributary streams are gypsum and earthy warm-water streams, which enhance the decoration of the waterfall by flowing over the travertine terraces from which the waterfall flows down.